Manufactured to Ford specs by Fel Pro®. Kit include production style graphite head gaskets and Print-O-Seal® intake gasket. 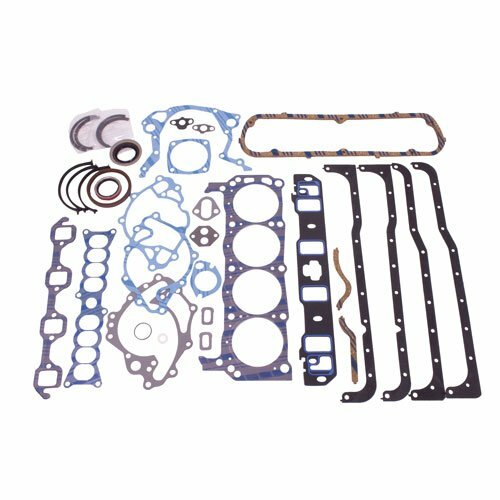 Includes four piece oil pan gasket and valve cover gaskets. Also includes front and rear oil seals plus most gaskets for a complete rebuild. NOTE: Does not include one-piece rear main for 351W, use M-6701-B351. Head gaskets not for use with Ford Racing Boss blocks. Intake gaskets fit base heads only. Does Ford Performance M-6003-A50 fit your vehicle? M-6003-A50 is rated 5.0 out of 5 by 1. Rated 5 out of 5 by sico from everything in one set Jeg's has good prices and great products. This gasket and seal set has everything you need for your project.